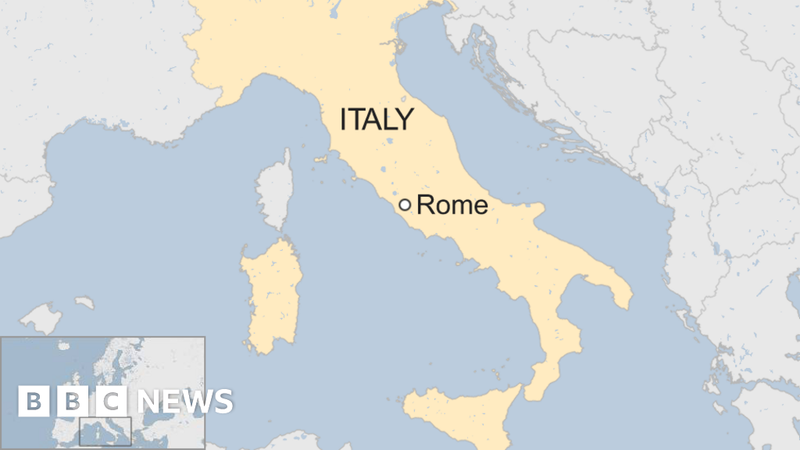 An escalator has collapsed at a metro station in Rome leaving several people injured, some of them seriously, Italian media report. The incident at the Repubblica station involved fans from visiting Russian football team CSKA, the reports say. Footage on social media shows people piling up at the bottom of an escalator as it rapidly descends. Ansa said at least 10 people had been badly hurt, most of them suffering leg injuries.